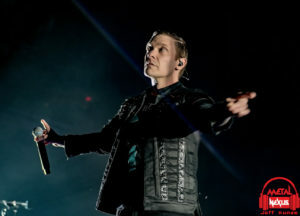 Shinedown brought their ATTENTION ATTENTION World Tour to the Target Center in Minneapolis, Minnesota for an explosive night of music. 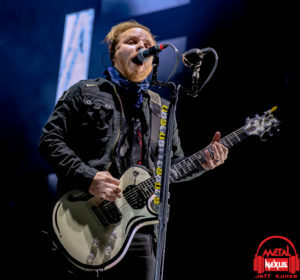 Close to eleven thousand people not only rocked out to Shinedown, but also got great shows from Papa Roach and Asking Alexandria as well. 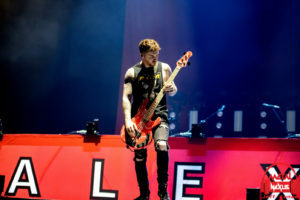 Asking Alexandria took to the stage that was draped in a red and white backdrop with a platform that ran the length of stage that held the drums. 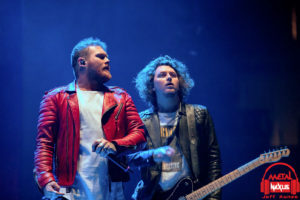 They started the set with “Into The Fire” and then “Where Did It Go?.” Both songs came off the latest self-titled album that was released in 2017. 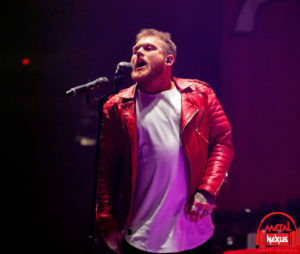 Vocalist Danny Worsnop paced the stage and utilized the walkway that led to a smaller second stage that protruded into the crowd. 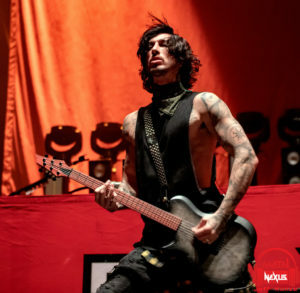 They kicked up the intensity for “Run Free” and “The Death Of Me” as guitarists Ben Bruce and Cameron Liddell banged their heads and jumped up and down to music. 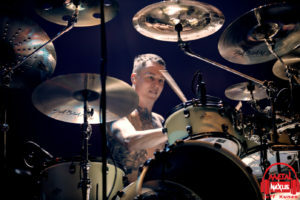 The rhythm section consisted of James Cassells on drums and bassist Sam Bettley. 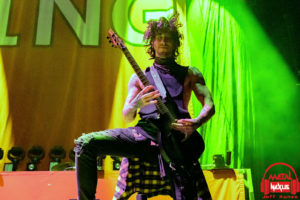 Despite being the first band, Asking Alexandria had a few tricks up their sleeve for effects as smoke cannons shot off behind them throughout the show. 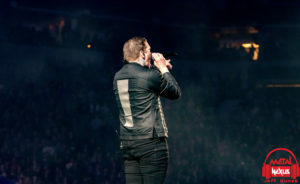 “Alone In A Room” capped off the nine-song set as time flew by all to quickly for many fans in the arena. 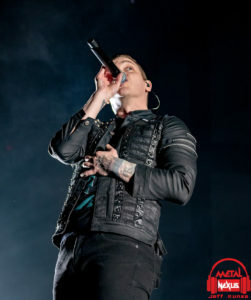 “Cut my life into pieces, this is my last resort” echoed throughout Target Center as Jacoby Shaddix stood center stage and welcomed the audience into the world of Papa Roach. 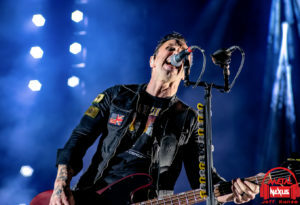 The band is riding the wave of its recent release called ‘Who Do You Trust?’ The band was bursting with energy, as Shaddix never stopped working the crowd. 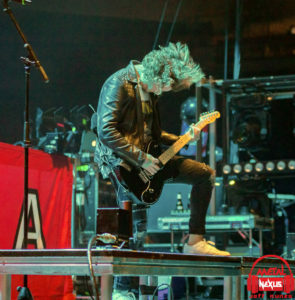 During the song “Elevate” he jumped into the pit and proceeded to go up into the stands to sing and dance with the fans. 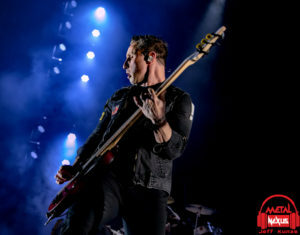 The band was in fine form with Jerry Horton on guitar, Tobin Esperance handling bass while Tony Palermo was on drums. Anthony Esperance helped to round out the sound as he provided some guitar, drums, and keyboards. 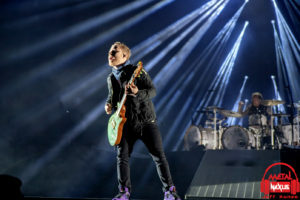 The newest album was certainly the focus, along with “Elevate” we also got “Who Do You Trust?,” “Renegade Music,” “Come Around,” and “Not The Only One.” There was still time for some of my favorite songs like “Getting Away With Murder” and “Between Angels And Insects.” The song “Scars” was dedicated to Chester Bennington and Prodigy’s Keith Flint and the whole place sang every lyric. The closing song was “…To Be Loved” finished the show like it began, a full on rock party with fists in the air and people moving to the music. 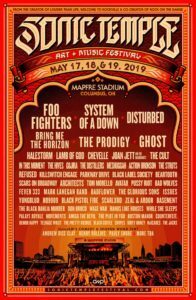 I was extremely impressed by the performance of Papa Roach. 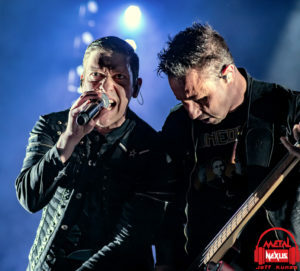 They made every second count on stage and you couldn’t help but get sucked into their show. 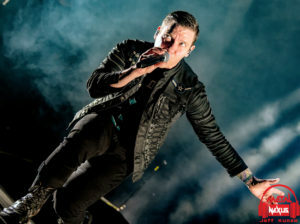 It is amazing that Shinedown has been around for almost two decades. 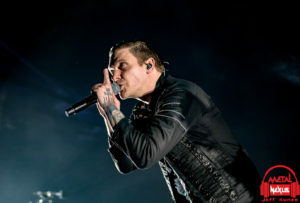 Through six albums and countless tours, Shinedown has earned their spot on stage and this celebration is not just about the latest album, ‘ATTENTION ATTENTION,’ but also the legacy of band that continues to push aside any obstacles that gets in their way. “Ladies and gentleman, please take your seats. 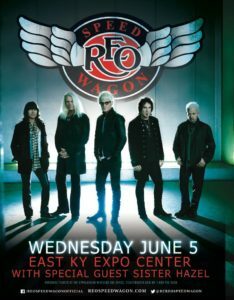 The show is about to begin,” came through the sound system and people immediately jumped to their feet. The curtain dropped to tremendous roar from the crowd as Shinedown ripped into “Devil.” There is nothing really like an arena rock show. 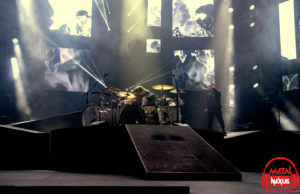 The stage was huge with ramps that led around the drum kit and the backdrop was a series of screens with images of exclamation points and rectangles. 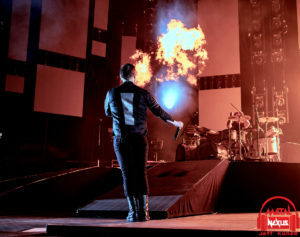 The light show coming off the stage was spectacular and the burst of flames that came through the ramps elevated the intensity of the show. 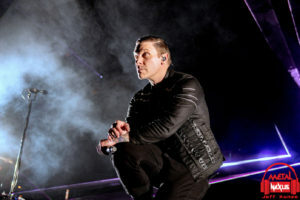 Vocalist Brent Smith, wearing a black leather jacket with the album logo of the exclamation mark on the back, took control of the show from the opening note. 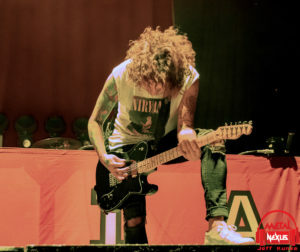 Throughout the night it was clear how important rock music is to him. He talked about how music has gotten us all through moments in our lives. 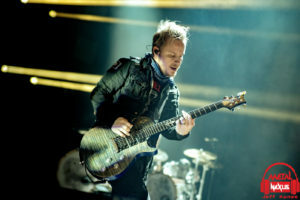 No matter where you are in life, what you may be going through, what religion you are, rock music is always there. 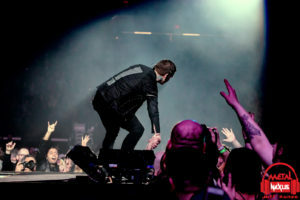 He asked for fans to slap high fives with people sitting around them, bringing everybody together and making the Target Center a tight knit rock-n-roll community. 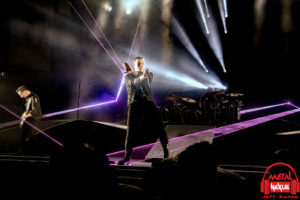 The music continued to flow as “Diamond Eyes,” “Enemies,” and “Monsters” kept people on their feet and singing. 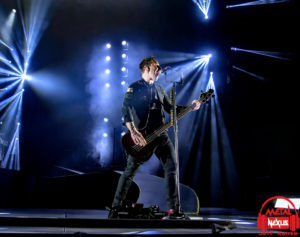 Bassist Eric Bass took to the keyboards for the ballad “I’ll Follow You” and “Bully” certainly was a fan favorite and sounded huge. 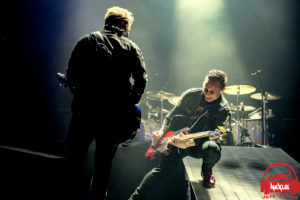 The band took to a second stage for a short set. The idea of it was to make the show a little more intimate. 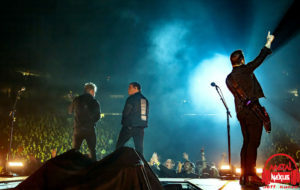 The band made their way to the stage with flashlights and each light was planted on each corner of the small stage. They played “Amaryllis” and then explained that each night a different band member would choose a song to play. 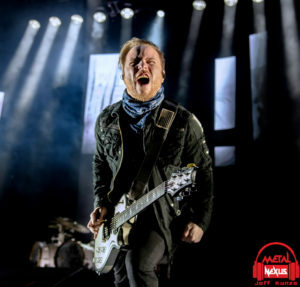 Guitarist Zach Myers decided on “Call Me,” the last song on ‘The Sound Of Madness’ album. 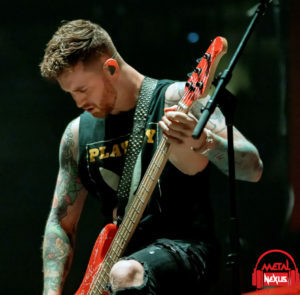 Bass was again switching instruments, sometimes in mid song, which Myers described as a very Bon Jovi move. That led to some funny banter between the guys. They continued with “How Do You Love” and then “Second Chance.” Myers slipped on the City Edition Minnesota Timberwolves jersey that honored Prince; the jersey matched his purple Air Jordans. 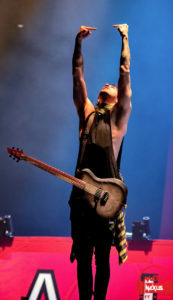 Adding to the tribute to Prince, Myers played the iconic Cloud Guitar he made famous and even had the logo of the symbol Prince was known for on his guitar pics. 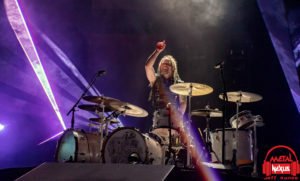 Smith and Myers played “45” before walking back to the main stage while covering Lynyrd Skynyrd’s “Simple Man” and joined the rest of the band to finish the song. Back on the main stage, the band roared into “Cut The Cord.” The laser lights were awesome and you couldn’t take your eyes of them. 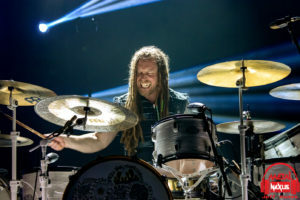 “Sounds Of Madness” further rocked the Target Center and the show came to a close with the song “Brilliant”. I thought the performance was fantastic. 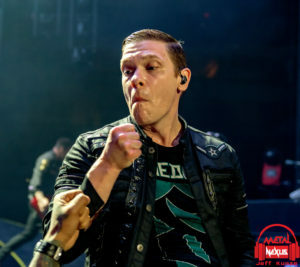 The guys from Shinedown, Brent Smith (vocals), Berry Kerch (drums), Zack Myers (guitars), and Eric Bass (Bass) gave everything they had and the fans appreciated every moment of the show. 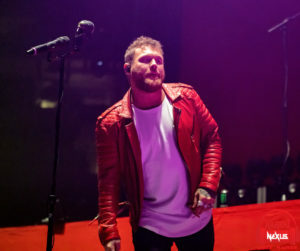 Starting with Asking Alexandria into Papa Roach and closing with Shinedown was a great night of music and a tour not to be missed. 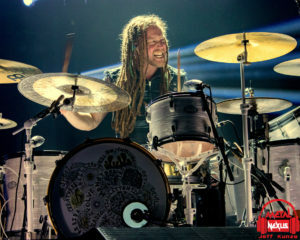 All three bands put on great shows and I’m sure people left the Target Center quite happy. 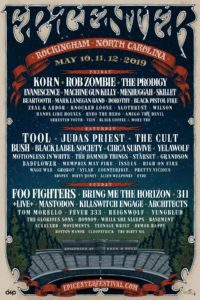 Tagged Asking Alexandria, Papa Roach, Shinedown. Bookmark the permalink.